It is well known that Shamans areÂ the mediators between the human world and the world of spirits, between the living and the dead, and between animals and human society. Shamanic culture is interwoven with details of our everyday life, either openly or in a hidden way. To some degree, everybody is a shaman. 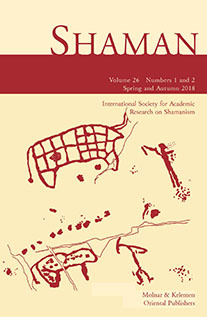 The revival of shamanism is perhaps one of the most â€œunexpectedâ€ phenomena in post-Mao China as well as in many other parts of the world, and one of the examples most worthy to cite would be that the shamanistic healing tradition of Hmong immigrants which originated in ancient China was adopted since 2009 as part of the Integrative Patient Care in Merced Medical Center, a Western hospital in California, USA. Shamanistic performance increases in number and scale, sometimes taken as cultural display and tourism attraction expanding under governmental or non-governmental sponsorship. It echoes appeals to larger population for community and identity (re-)creation. Widespread beliefs legitimized by cultural renaissance is embraced by astonishingly large population, and commercialized with the state-agentsâ€™ incentive of generating revenue through translating invented tradition into tourist industry. Ancestor veneration and rituals of almanacs, geomancy, horoscope, and spirit medium are intermingled with new waves of salvationist movements, and body/spiritual/healing techniques. The increasing social/political/economic disparity creates greater anxiety to seek for old ways of oracle-reading, mask-dancing, sutra-chanting, karma-fair hosting, and so on. National and global flow of capital, symbols, ideas, and practices also poses unprecedented problem of religious pluralism with increasing mobility. Situated in such worldly moment of predicament and alterity, the conference takes critical approach to the concepts of shamanism, arguing that shamanistic practices in this changing globalized world are processually contested and crucial to the understanding of the locals in particular and the global as a whole. We suggest to study shamanic culture not only by onsite ethnographic descriptions but more by articulating its concrete relations with the totality of the social context, while we also especially urge scholars to undertake various comparative analyses. The conference will include an academic symposium consisting of plenary sessions and panels, a special forum on world anthropologies of ritual, a showcase performance of Chinese shamanistic rituals, an exhibition of local shamanistic arts, an auction of shamanistic craftwork and publications, a field excursion to a Hmong/Miao or Buyei indigenous village, and other open options. In addition, the ISSR President will hold the General Assembly to discuss ISSR internal affairs with members, tentatively scheduled in the evening of 8th September, and running for about two and one-half hours, dependent on the number and complexity of problems to be addressed. For your reference, the conference hosting city, Guiyang, is the capitol of Guizhou Province in Southwest China, and it has a long standing fame and alias as ‘Forest City’ of the country. Guizhou is globally renowned as China’s ‘most colorful’ province with highly diversified ethnic cultures and well conserved biodiversity. Tour services for enjoying the bio-cultural diversity can be arranged in your need right after the conference. The 11th ISSR Conference Organizing Committee, co-chaired by Prof. Dr. Naran Bilik (Dean of GIASAE) and Prof.Dr. Bai Gengsheng (Vice President of ISSR), and locally coordinated by Profs. Jason Y. Long and Guo Shuyun, has been formed to prepare the conference program, agenda and logistics under the consulting directions of Prof. D. Sc. Mihály Hoppál, President of ISSR, and the ISSR Board.